Citronix Continuous Inkjet (CIJ) printers from ID Technology are well known for being easy to use and for being exceptionally reliable. Out of the box, they come with one of the best warranties in the business. Knowing how important our printers are in our customer’s production lines, we have introduced Covered by ID Technology – a new fixed cost on-site service plan, that provides complete piece of mind, for up to five years. Our customers have told us that there are two factors (among many) that are important today – improving the efficiency (OEE) of their manufacturing and packaging operations and being able to accurately budget for operational costs. Covered! for Citronix helps with both of these. It’s a fixed cost support contract that includes installation and training, any needed repairs (travel and labor included within our service areas) and scheduled preventative maintenance. Want to calculate the Total Cost of Ownership (TCO) for your coding equipment? Covered! makes it simple – you know exactly how much your CIJ printers will cost – the only variable will be the fluids you use. Covered! is an all-inclusive service plan for your Citronix printer. It includes profession installation and training, all repairs (including travel and labor) and preemptive PMs at the scheduled times. You can protect your Citronix investment one year at a time (for a maximum of five years) or you can buy a five-year plan at a discounted rate. Citronix printers already come with the longest standard warranty in the industry. The warranty can optionally be extended for a full five years of coverage. Note that the Citronix warranty is for factory depot and doesn’t include the filters that need to be changed periodically. Covered! brings a new level to the support options and with service support across North America, ID Technology is perfectly positioned to deliver this service. Want to get started maximizing your investment in CIJ printers? Contact us today – 888-438-3242 Option#3 or you can contact me directly at dholliday@idtechnology.com. We’ll get you in touch with one of our ID Technology specialists right in your area. Covered! for Citronix is currently available with new ci3000 Series printers from ID Technology. Look out for Covered! 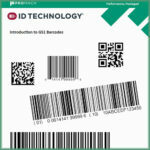 support plans for other ID Technology equipment soon!